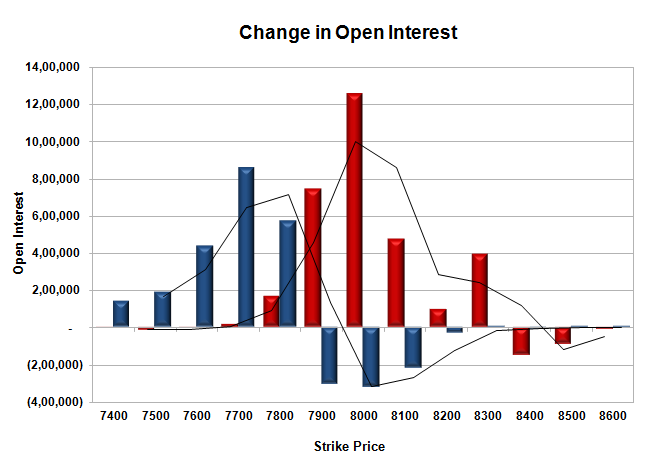 The index opened weak below 7900 but saw some buying interest to move to the high of the day around 7943. The Bears took control from thereon to move the index back below 7900 to close at 7852.40, a huge loss of 93.15 points. The broader market was also negative, with 483 advances to 1075 declines. The series range still remains at 7800-8200. Call option 7800-8300 added huge 31.35 lacs OI with profit booking seen at 8400 and above strike prices. Put option 7800-7400 added huge 21.98 lacs OI with short covering seen at 7900 and above strike prices. 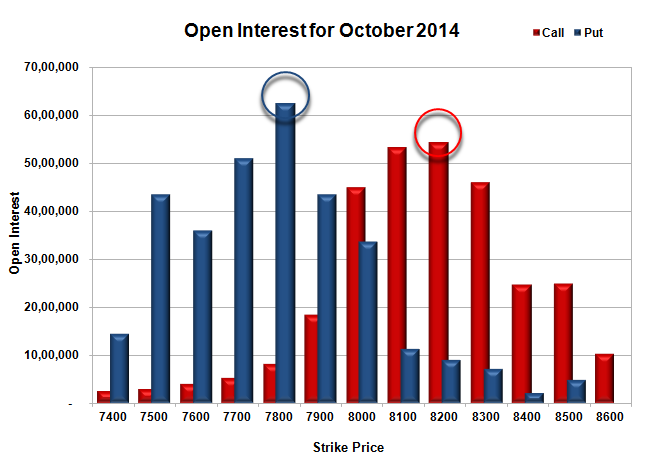 Nifty Open Interest is at 1,62,71,150 up by 6,31,700, with huge decrease in price, probably huge short build-up. Bank Nifty Open Interest is at 15,49,650 up by 85,775, with decrease in price, probably huge short build-up. FII’s bought 1.93 lacs Futures, which includes 9622 contracts long build-up and 5757 contracts short build-up, with increase in net OI by 15379 contracts (includes 41932 longs to 38067 shorts for the day) and the average price per contract comes to around 7857.60. FII’s Index future open contract as on date is 223610 Longs to 68598 Shorts, net long 155012 contracts. Initial and best support at 7800, with highest OI of 62.53 lacs and below that at 7700 with OI of 50.98 lacs. Initial resistance now at 7900, with huge OI addition of 7.46 lacs and above that at 8000 with huge OI of 45.05 lacs. 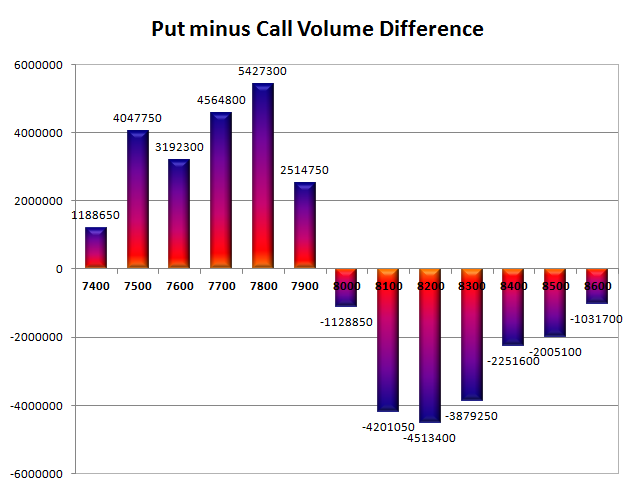 Day Range as per Option Table is 7806 - 7947 and as per VIX is 7793 - 7912 with 7879 as the Pivot.